Every once in a while, you need new skincare formulas to perk up your beauty routine. Potent potions that will re-set the skin. 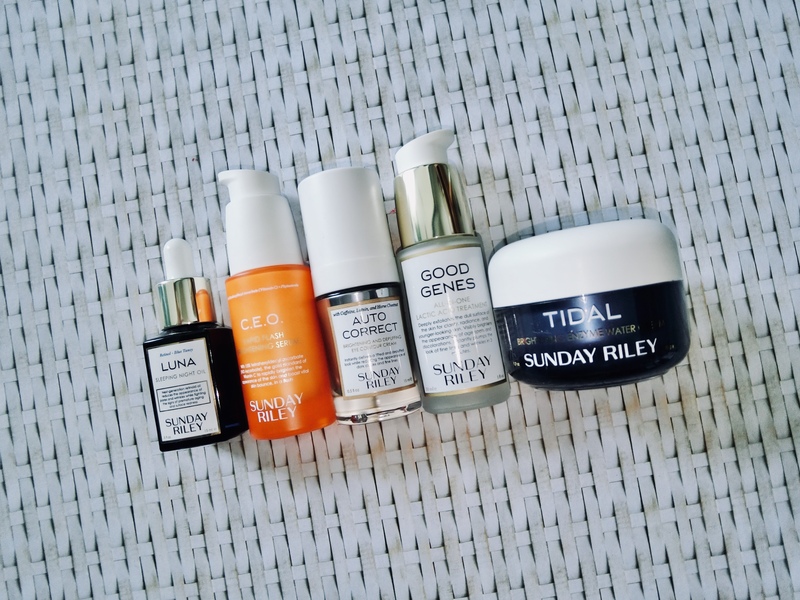 Sunday Riley’s bestselling products are good options as they work on the basics of good skincare. Made with purified lactic acid to rid skin of dead cells for smoother and fresher-looking skin. Results are immediate. Also reduces the appearance of fine lines, spots; and evens out the skin tone over time. This treatment may sting a little, especially on sensitive skin. If so, use it as a mask once or twice a week. Containing 15 per cent stable vitamin C that is also oil-soluble, this serum treats dark spots. Leaves skin radiant and more supple. A saccharide isomerate extract which is water-binding and an emollient, also reduces the appearance of pores. A gel moisturiser made with purified alpha-arbutin to brighten and even out the skin tone; papaya enzyme that exfoliates; two kinds of hyaluronic acid as well as tamarind extract to keep moisturised for hours. Seals in all the goodness of the essences and serums; so use it as the last step before sunscreen. This potent blue oil helps you get the most out of your beauty sleep. Contains trans-retinoic acid ester to boost the skin’s exfoliation process (I liked how it didn’t irritate my skin at all). Probably because of the skin-calming blue tansy and German chamomile. Also made with nourishing chia seed, olive, grape seed, matricaria flowee, neroli, ylang ylang, vetiver and sunflower seed oils. Use as first step of skincare on clean skin. Massage till it is completely absorbed. Layer Good Genes on top, then a (non-exfoliating) moisturiser, for best results.